The future of travel is going to blow your mind. Seriously, I bet you can’t even fathom the possibilities. 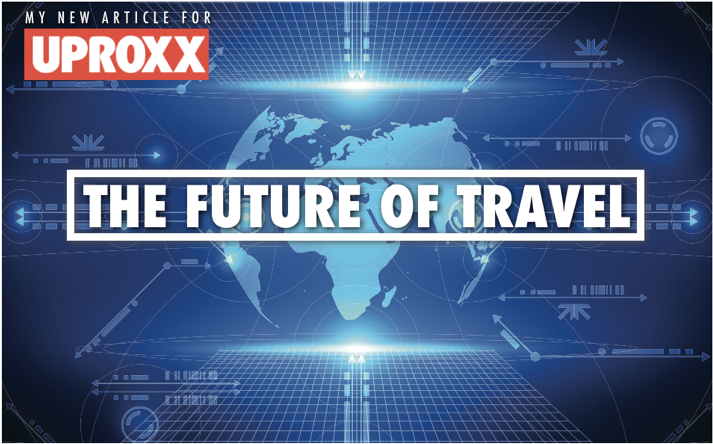 I couldn’t either until I started digging in to write article on the future of travel for Uproxx. In it, I detail a few ways in which we can glimpse the future of travel today, and then share some of the most insanely cool advancements we can look forward too tomorrow. But the best part, is the interview I conducted with two of the world’s leading futurists. At the end of the article, you’ll find sound bites from my conversation with them on what we can expect in the next 10, 50 and 100+ years.